On May 19, the U.S. Army Corps of Engineers announced that the East Sand Island Cormorant Nesting Colony had suffered catastrophic failure with upwards of 16,000 Double-crested Cormorants abandoning their nests which were then quickly predated by scavengers such as gulls and crows. The complete collapse of the colony was preceded by weeks of intense killing and harassment of cormorants on and around East Sand Island with federal agents killing nearly 2,400 birds with shotguns and destroying more than 1,000 cormorant nests. The U.S. Army Corps has temporarily suspended the slaughter of these birds while it investigates the colony failure but it has not ruled out killing more birds this season. Audubon Society of Portland is calling for the permanent end to the senseless slaughter of these birds and a comprehensive, independent investigation of the federal agencies’ actions related to the killing program at East Sand Island. Audubon Society of Portland is calling for an immediate and permanent end to the federal agencies’ cormorant killing program. The agencies’ original goal of killing 15 percent of the entire population of Double-crested Cormorants west of the Rocky Mountains would have driven cormorant populations below levels defined as sustainable. The potential loss of the entire East Sand Island Colony places Double-crested Cormorant populations in the west at even greater risk and the killing that has already been done by the federal agencies in 2015 and 2016 will significantly reduce the resiliency that cormorant populations will have to recover from a catastrophic event such as what occurred on East Sand Island last week. The agencies ignored over 200,000 public comments opposing the killing of cormorants, representing more than 99% of the comments they received. It was later discovered in documents, obtained under court order, that the agencies also ignored and hid their own experts’ analysis which determined that killing cormorants would provide no benefit to the salmon it was supposed to protect. In April, a federal court in Washington D.C. found that the U.S. Fish and Wildlife Service cormorant killing program in the Eastern United States, responsible for the deaths of tens of thousands of cormorants, broke the law by failing to consider any options other than lethal control and by failing to demonstrate that killing cormorants delivered any appreciable benefits to the fish it was meant to protect. In May, a federal court in Oregon rejected the federal agencies’ Columbia River Salmon Plan, finding that the agencies had failed to address the primary cause of salmon decline, the federal hydropower system, and instead have squandered billions of taxpayer dollars on salmon recovery strategies that are not working. The agencies have lost five times in federal court in the past 20 years, over their ongoing failure to address the dams. Audubon Society of Portland is calling for an independent investigation of the agencies’ activities related to the East Sand Island cormorant population. The agencies have shrouded their cormorant killing activities in secrecy, including ignoring their own experts and hiding a key report from public disclosure, terminating 18-years of independent monitoring of the East Sand Island cormorant colony by the Oregon State University Cooperative Fish and Wildlife Unit just prior to the onset of lethal control, refusing to allow the media or other independent observers to witness their killing program, and establishing a 500 yard exclusion zone around their boats when public interest groups tried to observe the lethal control program. Even as recently as last Tuesday, when conservation and animal welfare groups held a rally to oppose the killing, federal agencies that were already aware of the colony failure, failed to disclose this information and instead explicitly stated their intent to continue killing cormorants. 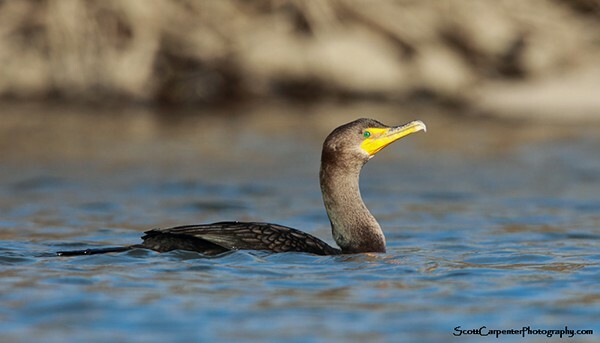 Audubon Society of Portland, Friends of Animals, Center for Biological Diversity, Animal Legal Defense Fund and Wildlife Center of the North Coast have brought a lawsuit to stop the killing of cormorants in the Columbia River Estuary. They are represented by Earthrise Law Center. The litigation is currently pending.